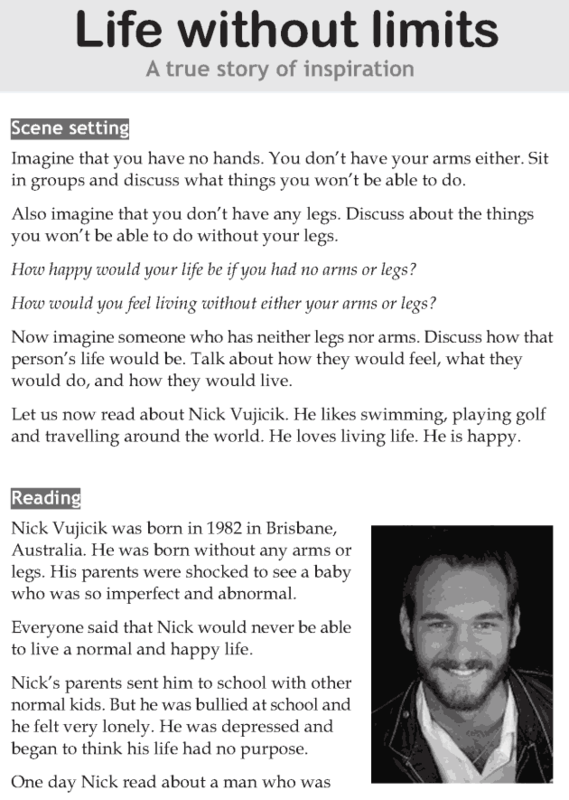 Have you ever heard or read about Nick Vujicik? He is a living inspiration for thousands of people who have lost hope and confidence in themselves. This lesson is about the hardship and challenges Nick Vujicik faced because of his disabilities yet he never lost his hope and determination and has inspired millions of people to be grateful in life and never be scared to dream big.